The goal here at Strawberry Plants .org is to spread the passion for strawberries far and wide. The vision is to see the number of home gardeners growing strawberries increase, to see the number of people appreciating strawberry recipes including this remarkable culinary berry increase, and to see the number of folks benefiting from the many healthful qualities of strawberries rise exponentially. Because of the love for all things strawberry that abounds here, and the dedication to spread the joy, I do my best to answer questions from sincere folks. Answering questions about strawberries helps strawberry growers grow in confidence. So, this site is a place where you can come for strawberry-related help. I do my best to answer all legitimate questions, but sometimes it takes me a while to respond. So, previous questions that have been asked and answered (as well as future questions and answers) are going to be provided here (and added as they are asked in the future). So, before submitting a new question, briefly check the previously answered questions to see if your concern has been addressed. Also, don’t forget that this site has a search function. Just type a few words related to your question in the box at the top right of this page, and see if you can find the answer to your question that way. Caring for Strawberry Plants in Warm Winters? Do Strawberries Take a Year to Produce Fruit? Square Foot Gardening Strawberries? Are Container Strawberries Perennial? Growing Strawberries in Tropical Climates? 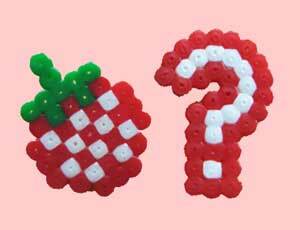 If You Plant a Strawberry Top, Will It Grow a Strawberry? If You Plant a Strawberry Top, Will It Grow a Strawberry? How Many Strawberry Plants Per Square Foot? Are Dried Up Strawberry Plants Dead? Problems Growing Strawberries in Containers? Will Strawberry Plants Come from a Buried Strawberry? How to Save Strawberry Runners for Next Year? Overwintering Hydroponic Strawberry Plants? First Year Strawberry Production? Strawberry Plants Have No Runners? Strawberry Plants Per Person? Strawberries Per Day? Do Strawberry Plants Need Acidic Soil? Growing Winter Strawberries? Dividing Strawberry Plants? What Causes Small Strawberries? Growing Strawberries in Red Clay? How to Care for Bare-Root Strawberry Plants? Should I Cut Off Runner Plants from My Strawberries? Growing Strawberries in Cameroon, Africa? What Do Young Strawberry Plants Look Like? Are Container Strawberries Perennial? How Fast Do Strawberry Plants Grow? Are Dried Up Strawberry Plants Dead? Red Strawberry Stems and Leaves? How Tall Do Strawberry Plants Grow? How Long Do Strawberry Plants Live? What Causes Strawberry Plants to Wilt? Why Are the Seeds on My Strawberry Sprouting While Still on the Strawberry? How Old Are My Strawberry Plants? When Do Strawberry Plants Die? What Type of Plants Are Strawberry Plants? Are Bare Root Strawberries or Strawberry Plant Plugs Better? Please, Friend, Don't Buy Strawberry Plants on eBay! German Strawberry Varieties? San Andreas Strawberries? Strawberry Serving? How to Store Strawberries? How Fast Do Strawberries Mold? Moving Strawberry Plants? Do Deer Eat Strawberries? How Many Strawberry Plants to Feed a Family? I’m growing strawberry plants hydroponically the top third of strawberry stays white even as the end two thirds gets overripe and soft what could be the issue? in hydroponic system in green house. What about the cloth that you see being used by commercial growers? Does it help with fungus attack through soil contact? When should I overwinter my container strawberry in Wisconsin? The leaves are still green. I have had Lycus bug infestation for 2 years and this year was the worst. My strawberries are worse that the year before. The seeds are thick on the bottom of the strawberries, they are misshapen, have small to no berries on my plants. Have I lost my plants now or in the coming seasons? I started ferry Morse alpine strawberry seeds well what’s growing looks like dandelion weed what am I growing???? This is my first complete year growing strawberries for my family . I have four different varieties and experimenting on others. My production this year was very good with most varieties. During the growing season the plants appeared to be very healthy and productive. We are in mid June and my plants are starting to look very poor. I have chosen ever bearing varieties . Is it normal for the strawberry plants to look very poor and appear to be dying. How do I protect the plants through the summer months and prepare for next spring. Hey! I got a couple of strawberry plants at a nursery, so they were already producing. I’ve already put them in the ground. Some of the strawberries are not really forming correctly-above the seedy part it is already ripening but all the seeds are clumped together on the bottom and you can’t see any fruit because the seeds are so thick. Has anybody seen what/know what I’m trying to describe? I’m not very good at making a picture with my words 😛 Also, I’ve picked pretty much all the strawberries that were on the plants when I got them, but they aren’t flowering any more. Are they just adjusting to being outside and their new environment? Or am I doing something wrong? Thank you to anybody who can help me! some of my 2yr old plants are looking yellow and the rest are lush, how can I correct this? I have a recent issue where the fruits touching ground start to rot, and the ground is moldy where slug bait was placed. Is it a normal practice to cut off leaves to allow sun and drying? It’s about a 2 foot mound of leaves/plants. Help! I am in Tampa, FL and growing Sweet Charlies. First time strawberry planter. Plants appear healthy and vibrant but the berries appear to be splitting. I have pics but unable to attach. It might be an uneven watering problem or you could have pests that are feeding on the strawberries. Try sprinkling a liberal amount of diatomaceous earth on the plants to help ward off insects and other creepy crawlies. Good luck! Hi. I’m growing strawberry under controlled conditions in tropical Malaysia. By controlled conditions, I meant in an air-conditioned room under LED lightings. So far, the strawberries are quite ok (still at experimental stage) but can be easily bruised. How to increase the ‘firmness’ of the strawberry? Thank you. It depends. If the plants are getting all the nutrients they need, you probably can’t do much to firm them up other than picking them before they are fully ripe. Every variety has a different firmness, so if the variety you are growing isn’t firm enough to survive handling, you might want to try a different one. Good luck! Hi I bought some strawberry seeds that comes with the pot and soil I’ve had them in the pot and they’ve sprouted but the stims with tiny leaves and they are short and red they’ve been growing for 2 months what should I do? That can happen with seedlings. If they are being grown indoors, they may not be getting enough light. If so, be careful, however, as moving them directly outside will kill them. Gradually increase the amount of light they get each day, starting with about an hour in the early morning (least intense) and gradually increasing the time by about 30 minutes ever other day or so. Good luck! Good evening, I have a raised bed full of strawberry plants. I have noticed that all of my plants are producing very big leaves even though many of the plants are different varieties. I have also noticed that on my Rainier strawberry plants, there are small leaves coming out of the stem of the big leaves. These emerging leaves are look healthy, but they are curled up like a funnel with the underside of the leaf showing. (these small leaves are not like normal leaves they come one by one). Please answer soon as possible, Thank You! That is a normal occurrence, don’t worry! And, good luck! It could be that the strawberries are just not fully ripe and waiting a day or two more before picking will allow them to fully ripen. Also, direct sun exposure can increase the red flush of strawberries. Some that have a large calyx covering the top of the berry may remain white longer. They are safe to eat either way! Good luck! Last night whilst taking slugs off my strawberry plants I found one on the fruit itself. I didn’t think they ate the fruit also. Do I need to wash them prior to eating then. What to wash them with? Slugs will eat and cause damage to strawberries, so it is a good idea to keep them at bay, if possible. Usually, slug slime won’t cause any illnesses in humans, but it is always good practice to wash them immediately prior to consumption. Clean water works well! Good luck! If I buy strawberry plants at Lowe’s, am I supposed to pick off the blooms for the first year and wait till next spring for strawberries? If they are already-established potted plants, you can usually let those set fruit. If you purchased bare-root plants, the blooms should be plucked. Good luck! Hey so outside of my work we had some strawberries in crop plots, they lasted through the winter without water. I was just curious when we should start watering them again. It’s already March and I feel they need water but I know very little about plants. I would like to ask a few questions. I am in Myanmar. I want to create job opportunities in our developing country cultivating everbearing strawberry. You are very smart. I love your website. The climate of our region, the town Pain Of Lwin is subtropic, I think. The average temperature is 307’C. Local variety strawberry are successfully planted. I would like to plant everbearing variety and share knowledge the other farmer. I wonder if it is a good idea to order the seeds from aliexpress.com, the China site. I am not sure planting from seed is good or not. Can it be get evebearing plants? Can you advice me please? Shipping from America to Myanmar is difficult, I think. Please reply me. I have never ordered strawberry seeds from AliExpress and am unsure if they have any quality control measures in place. 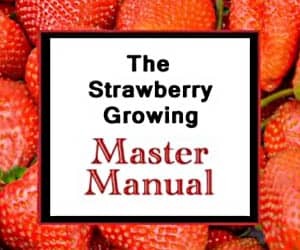 If they do and you can be sure that you get exactly what you order, I would only order them if you are intending to grow F. vesca or F. virginiana strawberries. The hybrid everbearing strawberries will not grow true from seed, even if the seeds were actually collected from everbearing varieties. Both F. vesca (Alpine) and F. virginiana (N. American Native) strawberries will grow true from seed, but they are much smaller than the commercially-grown hybrids and are more difficult to make commercially successful. Good luck! Could you please explain to me what ‘cull rate’ refers to for strawberries? What does it means when it says ‘variety A has lower cull rate than variety B’? Thank you again for your time..
Cull rate is the percentage or rate at which a particular strawberry variety typically produces strawberries that are not commercially viable. When you go to the store and purchase the packages of strawberries, have you ever noticed that they are all nice and large and generally evenly ripe? Those are all selected for their pretty appearance. Varieties don’t always produce perfect berries, even under ideal growing conditions. Some will be too small, some will ripen too unevenly to include in store-bought packages, etc. The cull rate is the rate at which a variety produces strawberries that are unfit to sell, for whatever reason. If you are a home gardener, you don’t have to worry about the cull rate as much. You’ll eat small ones just as readily as the big ones (at least I will)! Hope that helps, and good luck! How do I find and be certain that strawberries my family is eating are not GMO. As of right now, I am not aware of any strawberries that are actually genetically modified that are sold in supermarkets or farmers markets. Most are hybrids and are treated with numerous chemical substances (i.e. aren’t organic), so they may pose other issues, depending on your perspectives on such things. However, unlike soy, corn, and other commonly modified crops, strawberries are still non-GMO. Hope that helps! It depends on where you live (i.e. how cold it gets), and how much soil covers the plants. It is not generally a good idea to cover strawberry plants with soil due to the pathogens contained in most soils. Covering the crowns of the strawberry plants with more than a dusting of soil will likely decrease air flow and allow fungi to infect your plants, thus killing them. It is best to use a thick layer of clean straw to cover them during the winter. Good luck!